Hey all! Hope everyone is doing well and looking forward to Easter. Praise our Lord and Savior for what He did for each and every one of us. Let’s remember to celebrate this every day and not just once a year! I’ll also be celebrating the birth of my oldest son on Saturday. Thirty five years ago, he was born on Good Friday. It was a gorgeous day and I still remember the nurses kidding me about having to be in labor on such a beautiful day but what a beautiful blessing I was about to receive. No way can I wrap my head around the fact it’s been 35 years. Wow. Okay, on to the kit release. As promised, we completed the Designer Challenge that Ania gave us just in time. 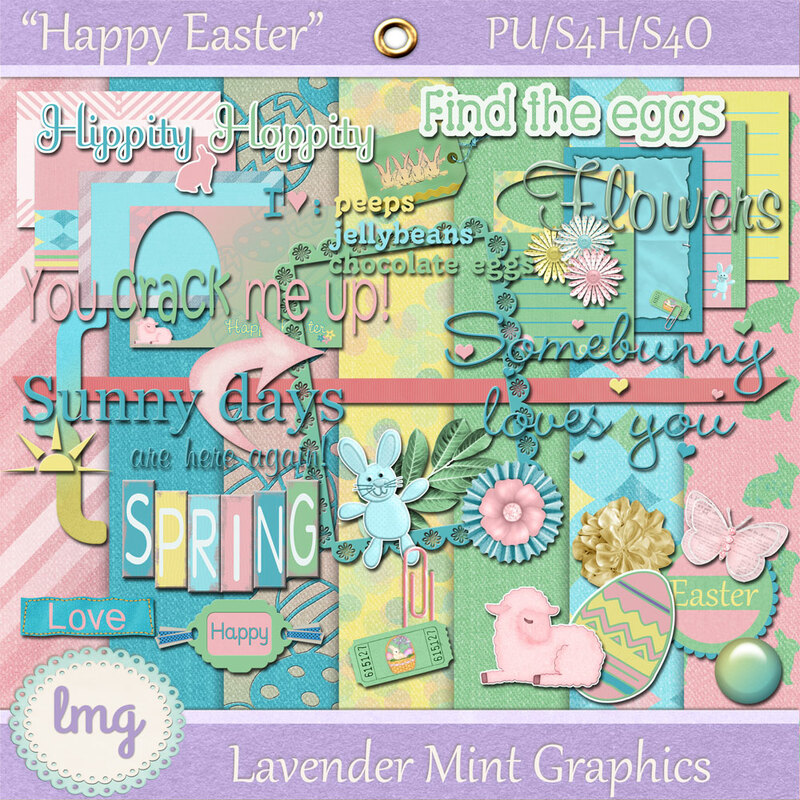 For me, anyway, since I chose an Easter theme! The result is a pretty nice sized kit for you! We started out with an inspiration board. 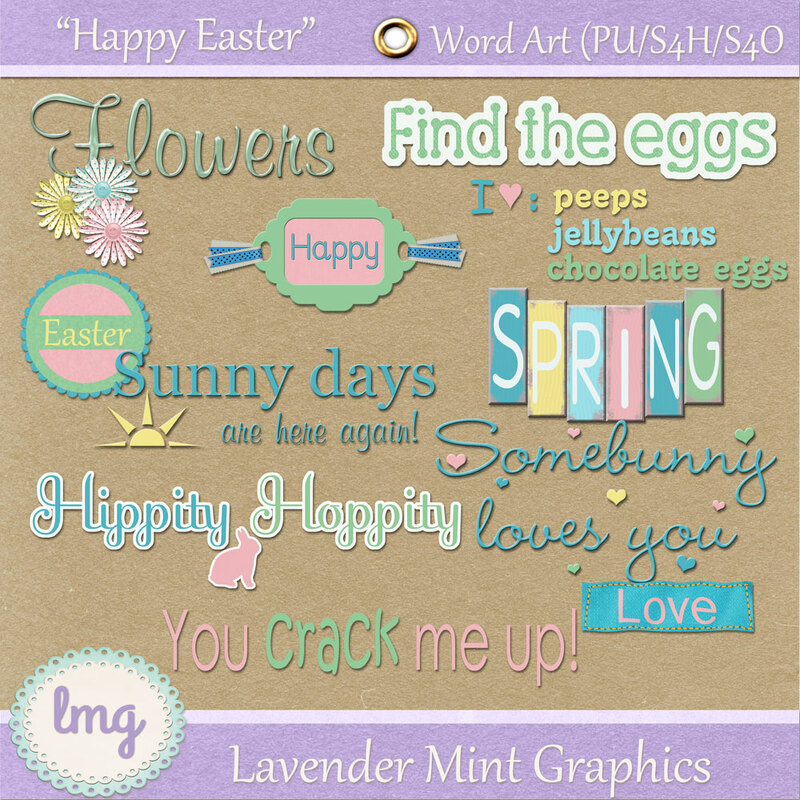 I chose Easter and gathered some ideas on Pinterest and created a secret board for my selections. Then we set out making elements, papers, journal cards, word art, and quick pages. I found a color palette that was just what I had in mind for the colors. When we got to the quick page portion, Ania suggested we do a layout to see how everything worked so that we could add some things if need be. 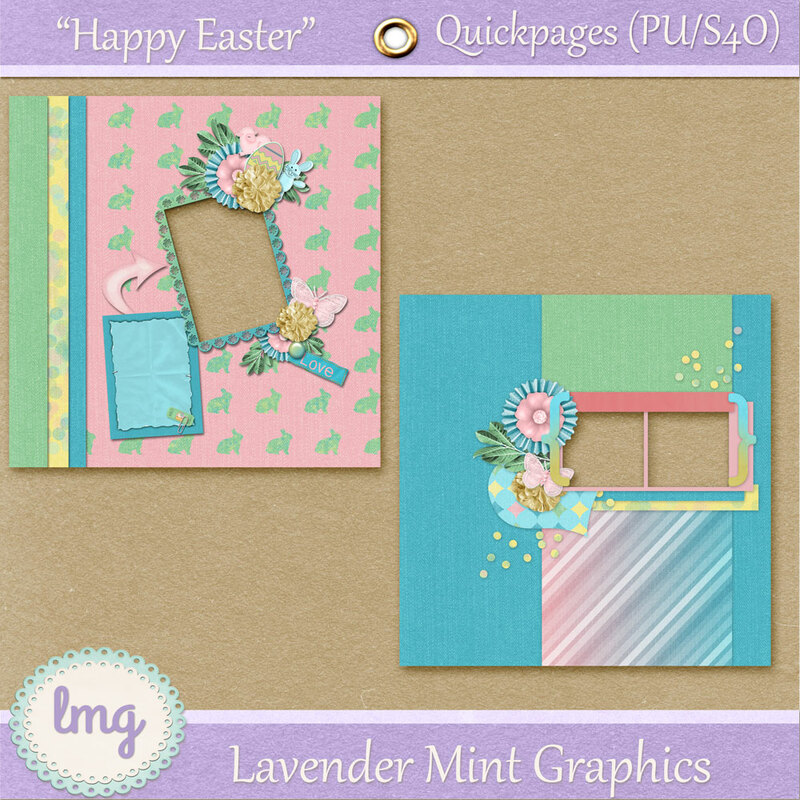 I decided to create two quick pages, one using the Easter elements, and one just using the … um, non-Eastery things lol. 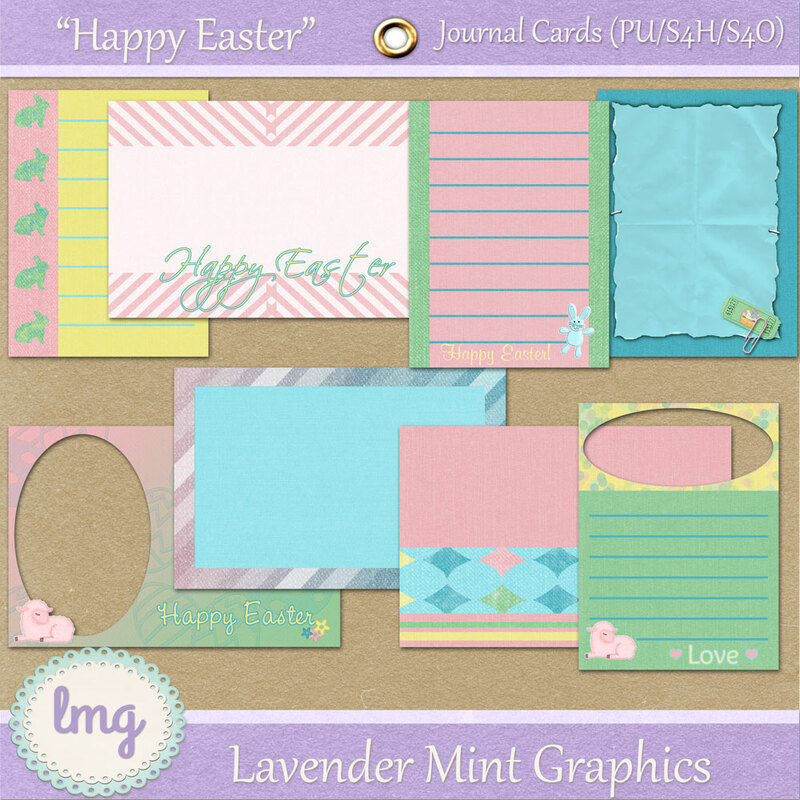 That way the kit can be used for other layouts besides Easter. 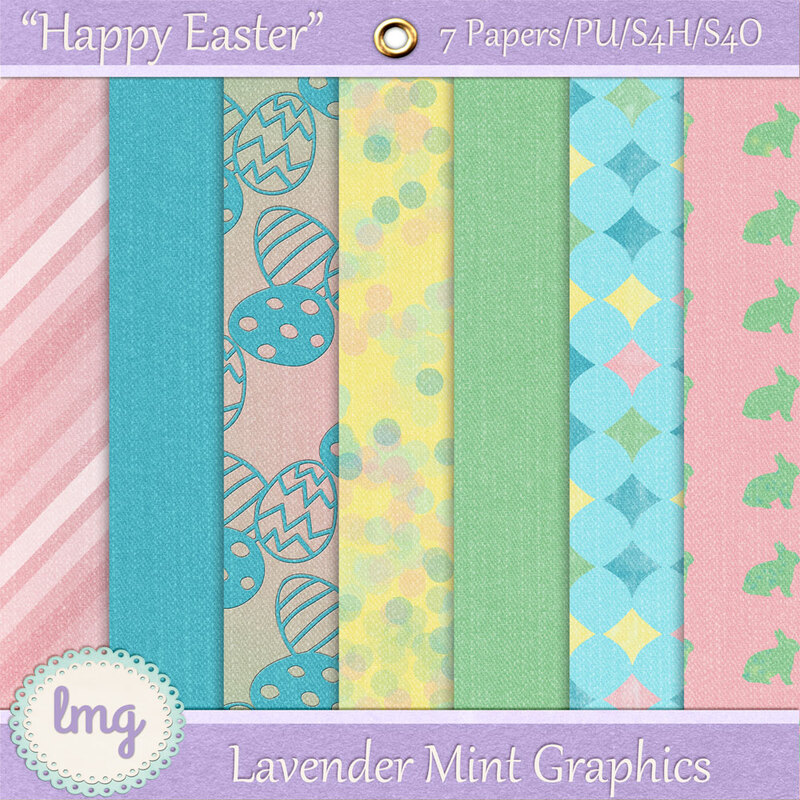 I’m thinking spring, or even maybe even for baby since the colors are those pretty pastel colors. So, I hope you can use the kit and I’ve created downloads for each portion so it won’t take so long to download. FYI, the first preview is the whole kit, but the link below it is just for the elements. Let me know how the kit works for you as it helps greatly to get feedback! You can do that by leaving comments below and/or following me on Facebook. Oh, and don’t forget to follow me on Pinterest, too! Hope you enjoy the kit! Download the Journal Cards here. Download the Word Art here. Download the Quick Pages here. Thank you, Marcy, let me know how it works! Just found your site and I LOVE it!! Your kits are so vibrant and pretty!!! Thank you so much for sharing your wonderful work!!! Thank you so much, Mary! I hope you enjoy using them.